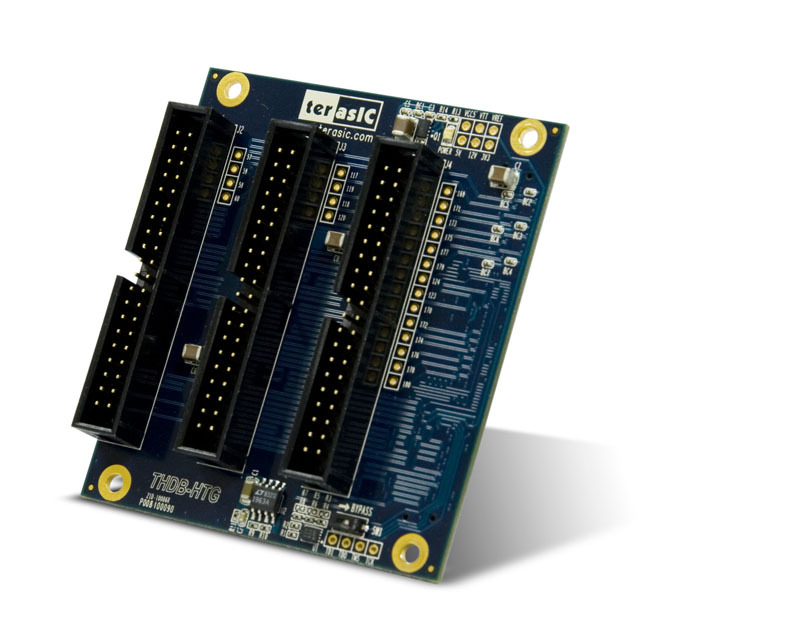 The HTG Card can be used with the FPGA host board which has the High-Speed Mezzanine connector (HSMC) or High-Speed Terasic Connector (HSTC) connector. It is designed to convert HSMC I/Os to two 40-pin expansion prototype connectors. For HSTC connector, three 40-pin expansion prototype connectors can be converted.